First of all, let’s make it clear that hoverboards don’t hover. They roll on the ground. Okay, now you’re aware of that the immediate safety concerns will have disappeared but the question remains: are they really safe to use? Of course it really does depend how you are. If you’re an 80 year old pensioner, we would respectfully suggest that a mobility scooter is a better bet. If you’re an 8 year old child, perhaps a scooter of some sort would be better for your pretty limited transport needs. So, assuming you believe you’re safe enough to use a hoverboard, are they generally safe to use? Did you realise that they’ve been banned by 60 airlines and various cities and campuses around the globe don’t allow their use? The problem with this mode of transport isn’t the hoverboard’s designs, the issue is with the device’s main component. Most hoverboards use lithium ion batteries. They’re the same sort of battery used in most laptops and mobile phones. You would think that the fact they’re used so much would mean they’re safe but that’s not the case given the stresses the battery’s put under when it’s part of a hoverboard. This sort of battery is more prone to exploding when it’s bumped around as it is as part of a hoverboard but that’s not the only reason it’s known to explode. When the devices are produced in thousands of factories in China, safety standards are not adhered to properly which exaggerates this issue. 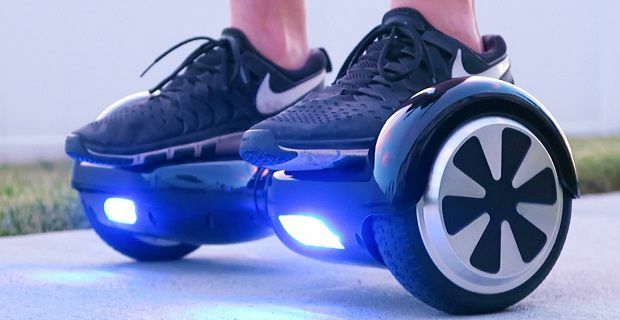 How can you buy a safe hoverboards? Buy from a retailer you trust as you might need to take it back. This means that you should buy from a shop rather than online. You can get some advice when you buy the thing and this gives you someone to take it back to if it fails. None of this is any guarantee that you’ll be purchasing a safe hoverboard.